Home > Travel Guide > From Sapa to Halong Bay, here's our definitive guide. From Sapa to Halong Bay, here's our definitive guide. Stretching 1,650 km from north to south, Vietnam is packed full of wonderful sights and experiences that are not to be missed. Because of this, coming up with an itinerary that fits such an array of beauty and culture into just a week or so can seem pretty daunting. But if you’re short on time and don’t have much annual leave, you don’t need to worry. We’ve compiled a handy seven-day guide for your whistle-stop tour of Northern Vietnam. From big cities brimming with foodie fun, to landscapes so surreal they will blow your mind, Northern Vietnam sure won’t disappoint. 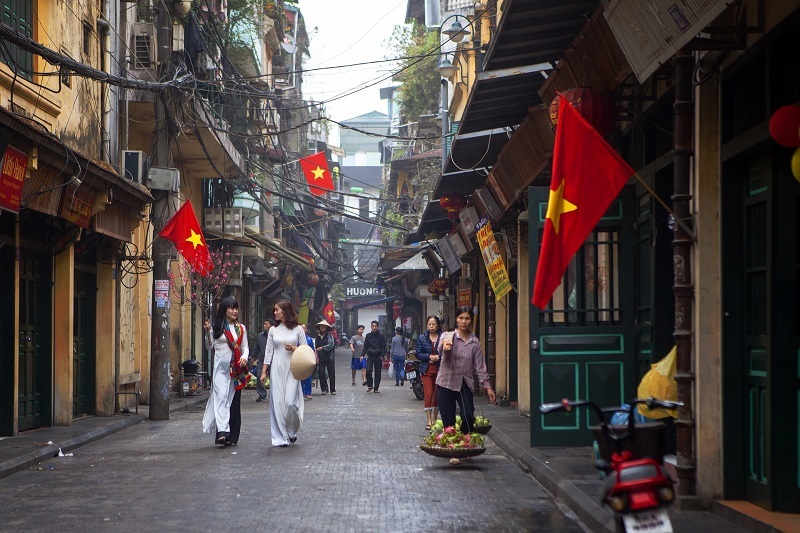 Begin journey with the capital city of Hanoi. Expect buzzing markets, chaotic streets and an abundance of motorbikes to greet you. In fact, to save feeling overwhelmed, you might want to read our light-hearted guide to crossing the road in Vietnam! With influences from all over the world, there is no shortage of interesting architecture and history to discover in the city’s Old Quarter. Take a wander through the lively, narrow streets, witness a unique water-puppet performance, or visit the Vietnamese Women’s Museum before grabbing some food from one of the countless street food vendors. Also feel free to stop for a bia hoi (freshly brewed draught beer) at one of the microbars in the Old Quarter. Strolling round Hoàn Kiếm Lake, in the city center, is especially nice at sunset. Typically the best places to eat are tucked away at the side of the road and packed with locals sat on stools outside! For a taste of authentic Vietnamese pho, I recommend a restaurant called Pho Thin. Looks wise, it’s nothing extravagant but the food more than makes up for it! 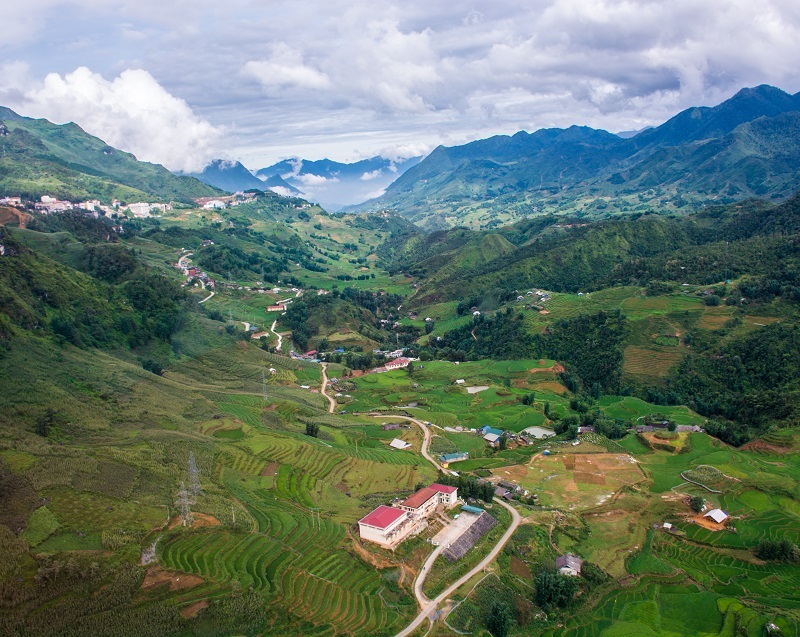 Next, Sapa – our northernmost location, close to the border with China. This region is home to many indigenous hill tribes and is well known for its hiking. To really take it all in, prepare for an early start and get ready to explore the beautiful scenery on foot. The seemingly endless terraces of rice fields look like something from a sci-fi movie (particular when they’re shrouded in fog) and, like me, you may have to pinch yourself to remember you’re still on planet Earth! It’s just a two or three-hour trek to visit a hill-tribe village called Cat Cat. Home to the H’mong people, who emigrated from China 300 years ago, it’s one interesting and scenic trip, especially since it passes a waterfall! Since today is your last day in Sapa, you may as well make it memorable, right? Why not climb trekking through Muong Hoa valley. Established as a hill station by the French in 1922, the town of Sapa is quaint with boutiques, spas and trendy eateries. But it’s the Muong Hoa Valley between the town and the Tonkinese Alps that’s really why travelers come to the far northwest of Vietnam. The valley is home to a few ethnic minority groups including the H’mong, Dao and Zay, differentiated by their styles of dress and language. 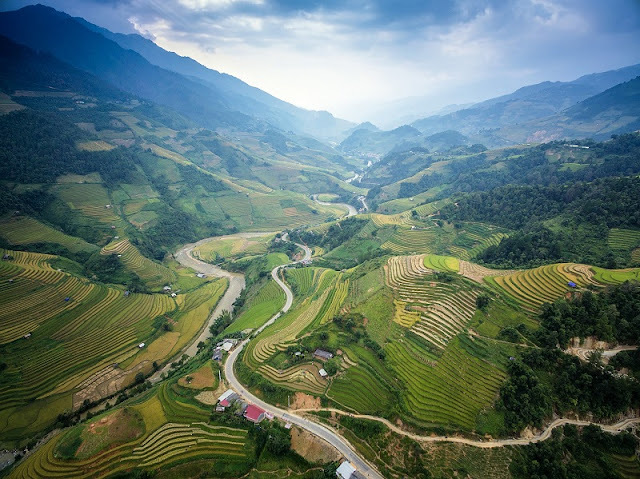 Of course, there are also the famous terraced rice fields, overcoming the harsh terrain and the harsh weather, to produce one crop of rice per year (as opposed to two or three crops as in other areas of Vietnam). 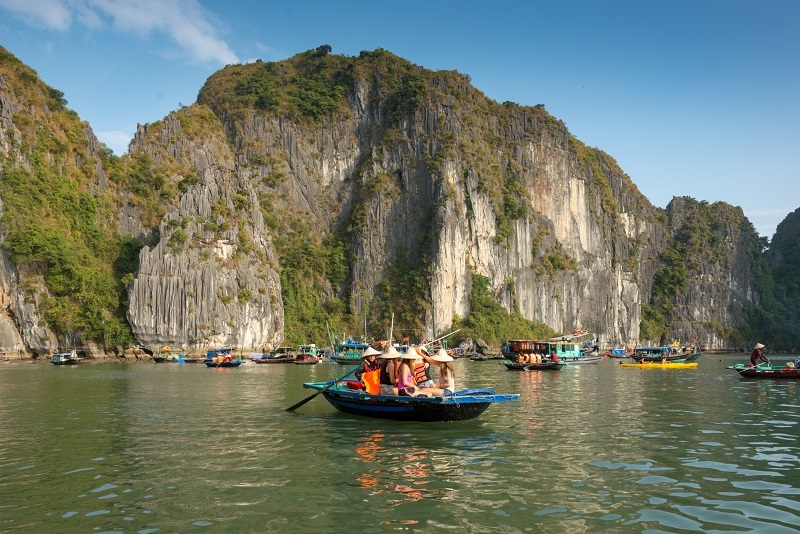 The last days takes us to Halong Bay. Being one of the most well-known destinations in northern Vietnam, it has to be crossed off the checklist. The landscape is famous for its huge limestone karsts that take you can admire from beach or boat. The site was declared a UNESCO World Heritage Site in 1994, when you take a visit, you’ll see why. And though a hotspot for tourists, there are ways of escaping the crowds. Vietnam Typical Tours’s tours, for example, take you to a secluded harbor and natural grottos aplenty, before letting you swim and spend the night on board a boat. The best part is that these boats moor in quiet areas of the bay overnight, so get on the sun deck and take in the sunset in all its unobstructed glory.